WOW! December is here! 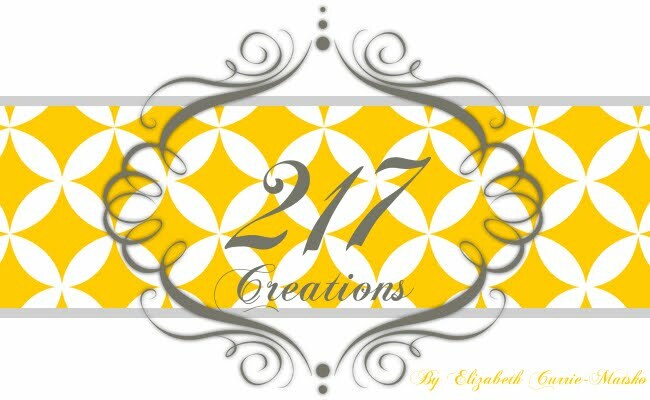 This is Elizabeth form 217 Creations. Besides papercrafting, I enjoy doing floral arrangements. 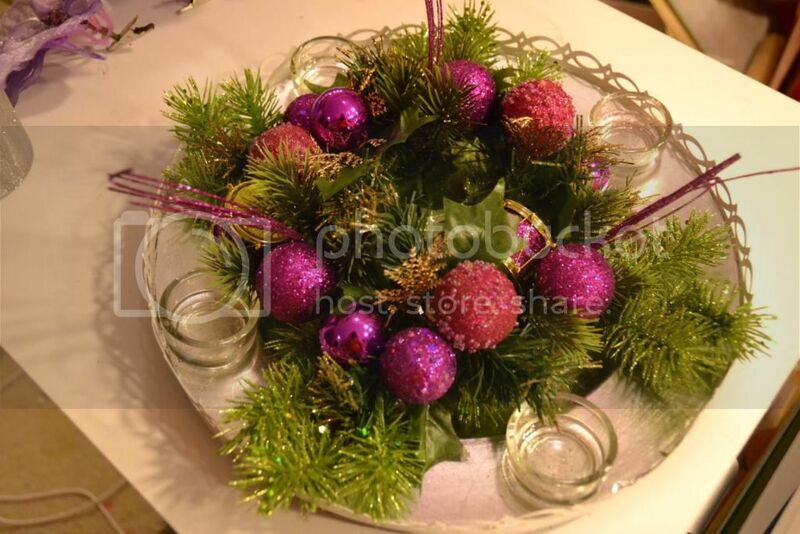 So when my mom asked me to make her a new Advent Wreath, I went crazy with ideas. It has taken me a month to edit my ideas, but I love the final piece! I stated with a metallic charger plate from Michaels. 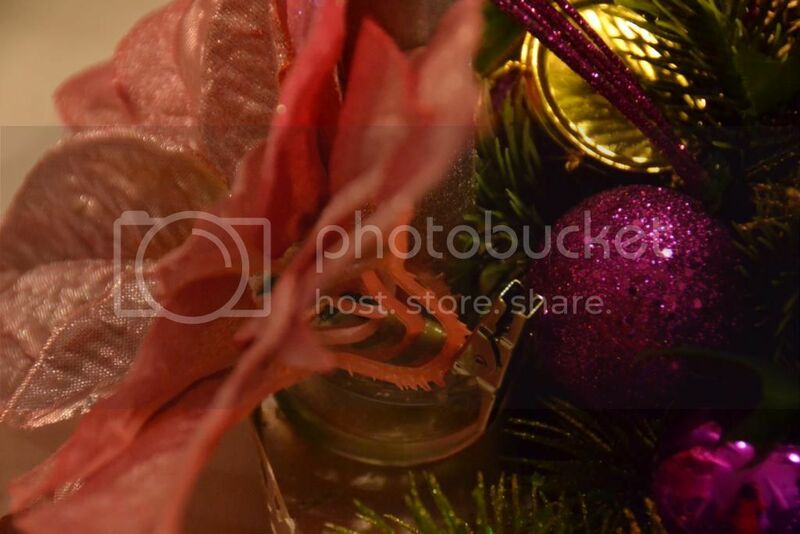 I used 4 glittery green sprigs from Joann for the base of the wreath. 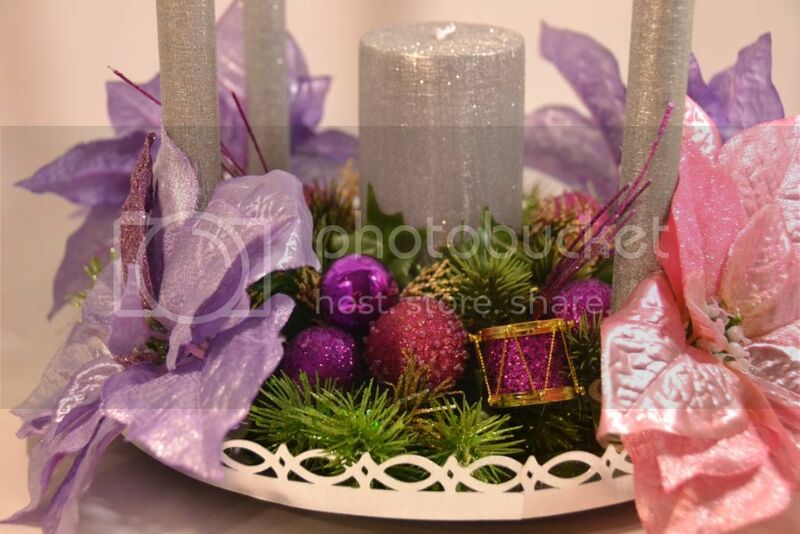 I applied many layers of hot glue to hold the floral sprays to the plate. 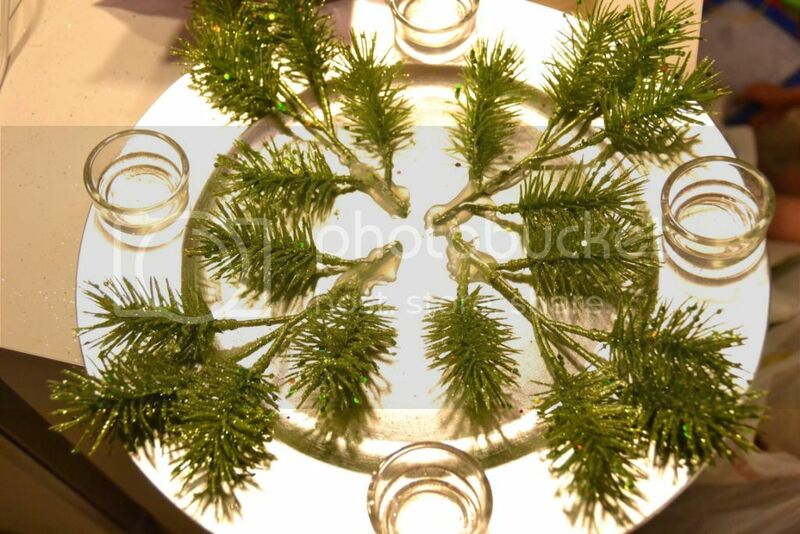 I then hot glued shallow votive holders to the plate. 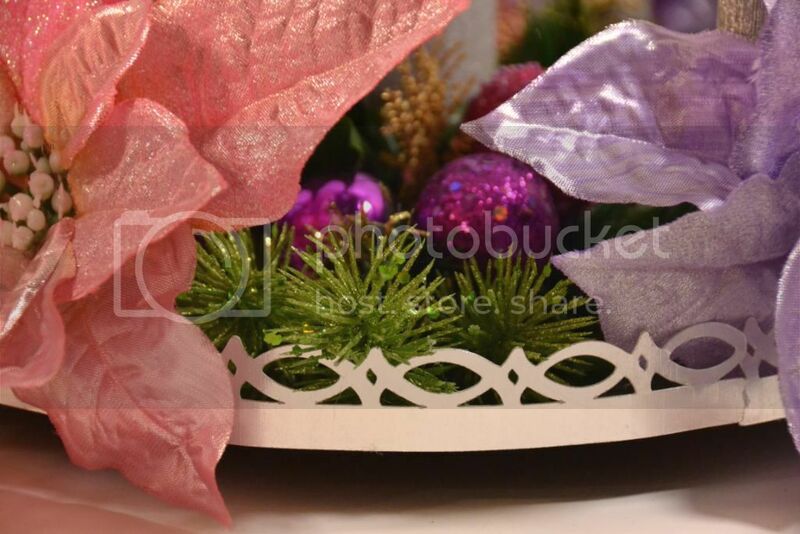 Next I cut 4 borders from Ribbons and Rosettes Cricut cartridge from AC Metallic Cardstock. I had to trim about 1 inch off the 4th border cut to make a perfect fitting around the edge of the plate. I chose the 1 by 11 Border. So to get a full strip I left the sizing at 1 inch. Then I added a 5 more sprays with a more traditional look to fill in and add depth. 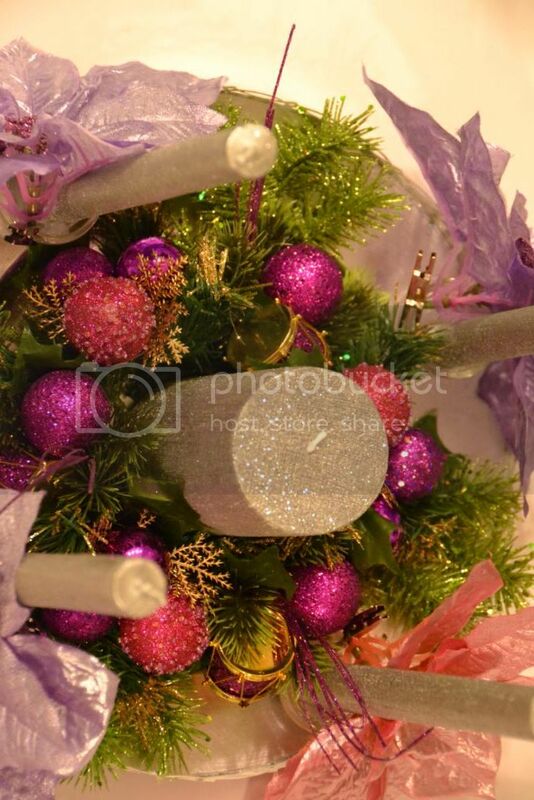 A traditional advent wreath has 3 purple and 1 pink candles to represent each Sunday in Advent (Thanksgiving Sunday to Christmas Day). Boy did I have a hard time finding a sturdy taper in the correct colors and height. Finally I gave up and chose to use these amazingly glittery candles from Michaels. I have them stand in the holder, I used a generous amount of hot glue to make a sturdy holder. 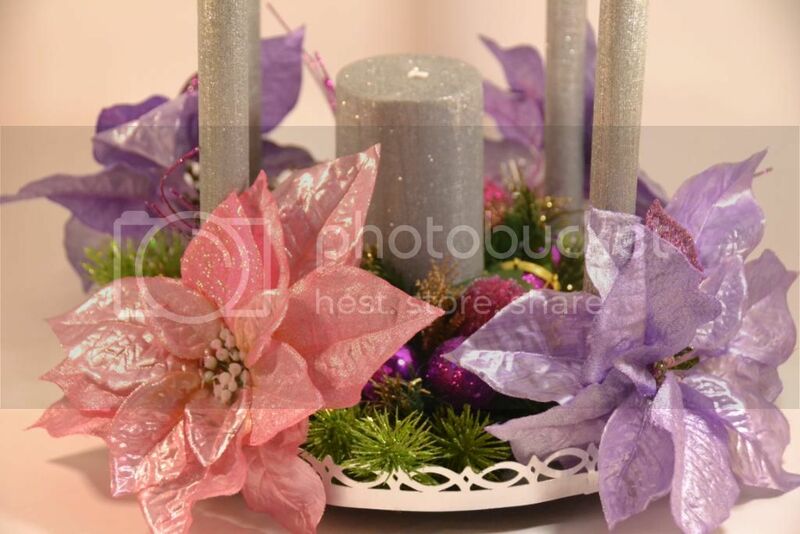 Finally I clipped the poinsettas to the candle holder base. 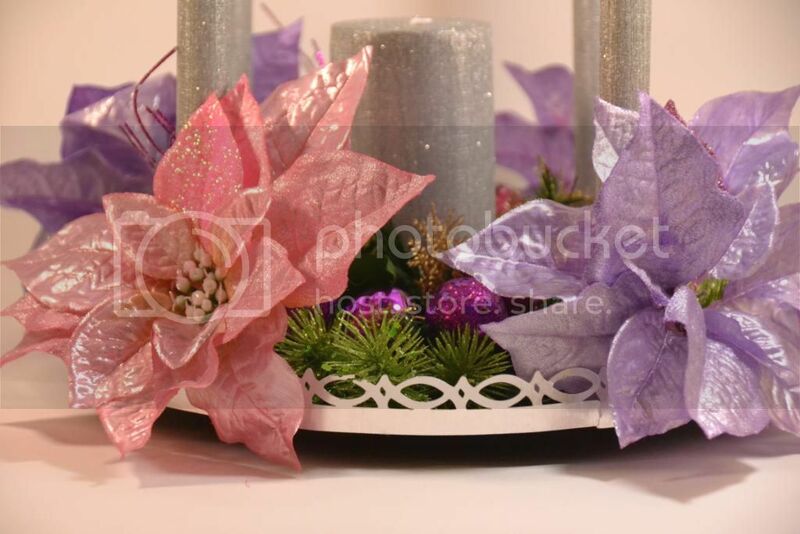 I bought 3 purple and 1 pink poinsetta to represent the Advent Sundays. Each Sunday as a family, we will light the previous week's candle and the current weeks candle. By Christmas week, we will have all 4 tapers lit. Finally on the joyous day of Christmas we will light the center. I hope my mom likes my contemporary take on a traditional Advent Wreath. Don't those border cuts look amazing?!?!!? It looks like metal! I have added some more pictures for you. If you need to enlarge, just click on the pics. 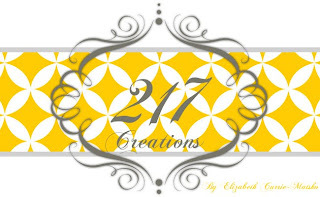 As always thank you for following and subscribing both here at the Bug Bytes and on my personal blog at 217 Creations. Elizabeth this is beautiful. Really, really nice. Gorgeous Elizabeth. Fabulous colors and so much wonderful sparkle!! Elizabeth, it's just like you to come up with something this gorgeous!! !